Sophistication. Elegance. Class. 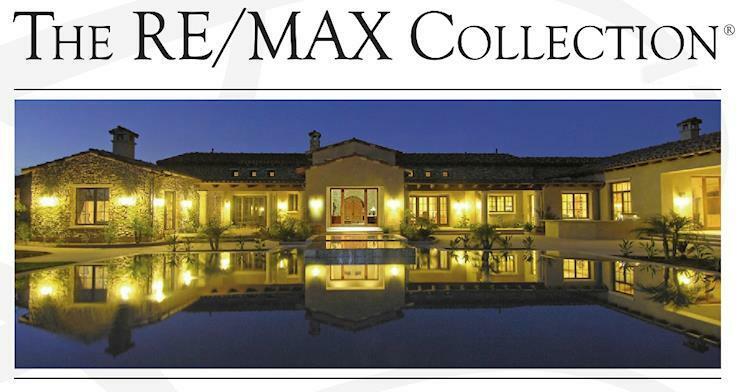 The RE/MAX Collection offers this and much more to affluent home buyers and sellers around the world. Elegant waterfront estates, pristine mountain retreats and gorgeous golf course manors are all just a few clicks away. Only the most exceptional homes qualify for The RE/MAX Collection. Homes that reflect your desire for luxury, character, quality and beauty. To qualify for inclusion in The RE/MAX Collection, homes must be at least twice the local average listing price. Just as the properties presented in The RE/MAX Collection stand above the ordinary, so does The RE/MAX Realty Affiliates Collection sales force, the most prolific in the world. No one is better suited to meet your needs. Whether it’s marketing real estate to a global clientele or helping find that one perfect place you’ve been dreaming of your entire life, the outstanding agents behind The RE/MAX Collection deliver outstanding results. Through the RE/MAX Collection, RE/MAX Realty Affiliates has created a unique brand identity and powerful marketing resource for luxury homes. The RE/MAX Collection offers exclusive advertising programs and specialized resources to assist in marketing and selling your luxury property. Billions of dollars have been invested in building RE/MAX into one of the most recognized and respected real estate brands in the world. The RE/MAX Collection combines the global reach of RE/MAX with a specialized look and marketing program designed specifically for the luxury home market to help promote your property to millions of prospective buyers. RE/MAX Realty Affiliates luxury specialists have access to targeted publications, such as the nationally distributed RE/MAX Collection magazine and luxury home magazines such as Unique Homes, duPont Registry and The Wall Street Journal. It's the perfect way to match exquisite properties with the right buyers. Note: The targeted publications such as the duPont REGISTRY, has a circulation of 80,000 and is distributed in upscale bookstores, domestic and international airports, commuter terminals, international private jet centers, first-class airline passenger lounges, and at luxury automobile and yacht shows. Subscribers include athletes, actors and Fortune 500 executives - from every U.S. state and more than 50 other countries. As a specialist with The RE/MAX Collection, RE/MAX Realty Affiliates has access to a network of more than 85,000 RE/MAX Associates across more than 90 countries, enabling Collection specialists to connect to buyers with sellers from virtually anywhere. RE/MAX Realty Affiliates Collection Properties are featured on the elite luxury resource - The RE/MAX Collection website at www.remaxcollection.com. The modern, yet elegantly designed website is another medium to showcase well-appointed homes and properties. The exclusive website receives over a half of a million page views each year. The RE/MAX Collection marketing program features a full range of distinctive signage and marketing materials to set fine properties apart. Each piece is adorned with The RE/MAX Collection brand creating a sophisticated, eye-catching look. When you have a RE/MAX Collection property, you will work with the trusted professionals backed by the power and resources of one of the world’s largest and most-recognized real estate brands. We understand that affluent buyers and sellers are accustomed to being represented by real estate professionals who possess an incredibly high level of expertise and a deep knowledge of luxury market trends. RE/MAX Realty Affiliates luxury specialists have access to world-class education, such as the Certified Luxury Home Marketing Specialist (CLHMS) designation.Recognized as the mark of accomplishment in luxury markets around the world, the Certified Luxury Home Marketing Specialist (CLHMS) designation assures affluent buyers and sellers that the agents who have earned it have the knowledge, experience, competence, and confidence they require. Members of The Institute who hold the CLHMS designation have documented performance in the TOP 10% of their markets, and have successfully demonstrated their expertise in the luxury home and estate market. The RE/MAX Collection is a proud partner of the Institute for Luxury Home Marketing.